Premarital agreements (also called “prenuptial” or “postnuptial” agreements) are contracts between people who intend to be married.These contacts become effective when the wedding is actually performed. 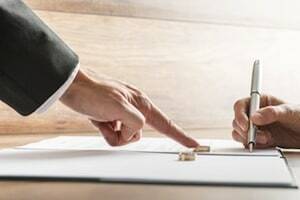 (The same issues apply when the parties enter into an agreement prior to a New Jersey civil union). A premarital agreement allows future spouses to determine the rights and obligations of each if they later divorce or separate. In fact, a premarital agreement can deal with any issue unless it’s against public policy. For example, a couple may not agree in advance about things like child custody and child support, as these issues must be resolved in the best interests of the child. If the parties don’t have a premarital agreement, then disputes over these issues will be resolved according to New Jersey law.In some areas (such as spousal support) judges have considerable discretion and the results may not be to the liking of either party. A well-drafted premarital agreement can save time, money, and stress if the couple later splits up.However, New Jersey courts will not enforce all premarital agreements. Under the New Jersey Uniform Premarital Agreement Act (UPAA), all premarital agreements must be in writing and signed by both prospective spouses.A statement of assets must be attached to the agreement.The purpose of the asset statement is to assure disclosure of each party’s financial information. Parties contemplating a premarital agreement are advised to consult with an experienced New Jersey family lawyer before signing.If a party decides not to work with a family attorney, then the premarital agreement must include a statement that the party waived his or her right to be advised by a lawyer. A premarital agreement will not be enforced by New Jersey courts if it’s deemed “unconscionable”. If you have questions about premarital agreements, we invite you to contact our Hackensack office for a free initial consultation with one of our experienced New Jersey family lawyers. Call us today at 201-345-5907 or send us an e-mail and let us help you with your New Jersey premarital agreement issue.